By Melissa Lennig on December 13, 2017 3 Comments. This content contains affiliate links. As an Amazon Associate I earn from qualifying purchases. 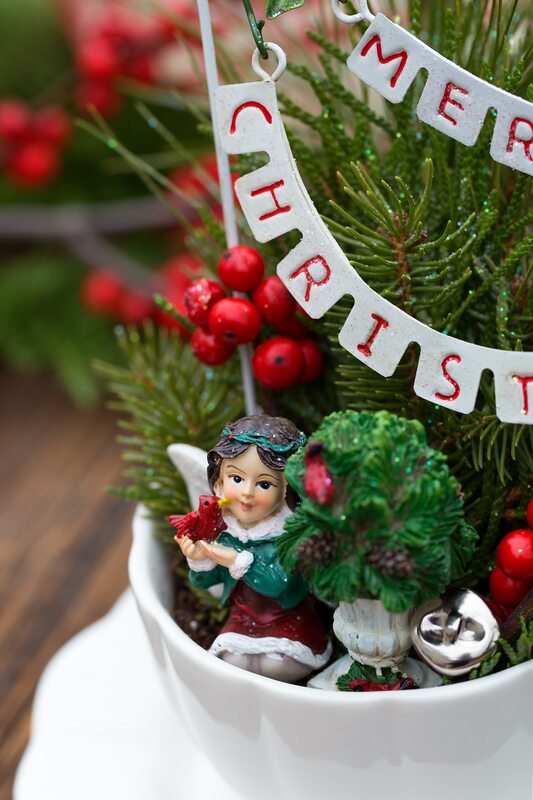 Inside: Learn how to make a DIY Christmas Fairy Garden with plants, accessories, and pine sprigs in a teacup. It’s a fun homemade gift idea to make with kids. 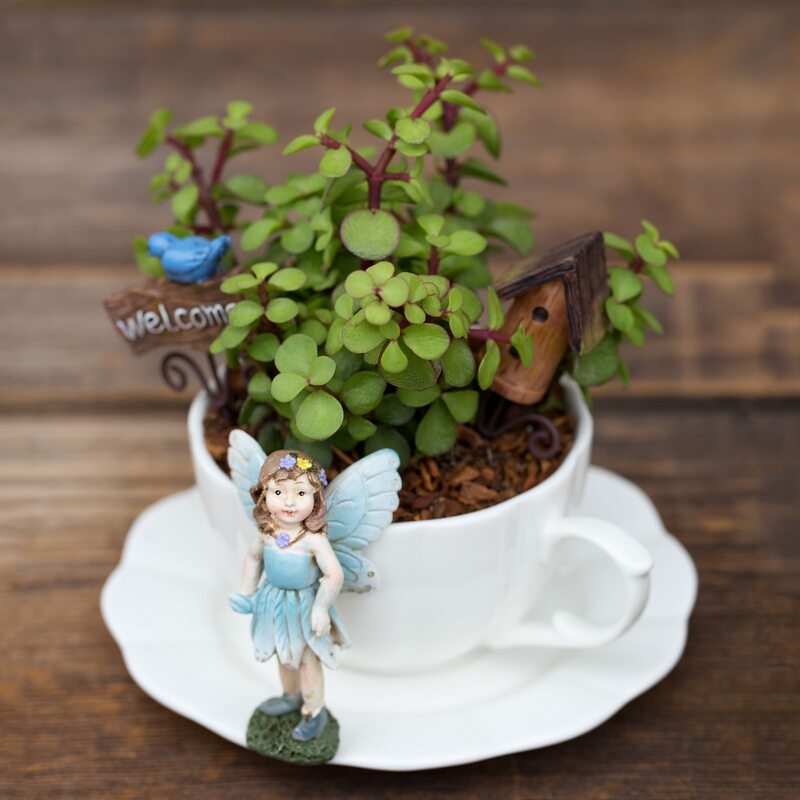 Teacup gardens are perfect for bringing greenery, warmth, and whimsy to small spaces. 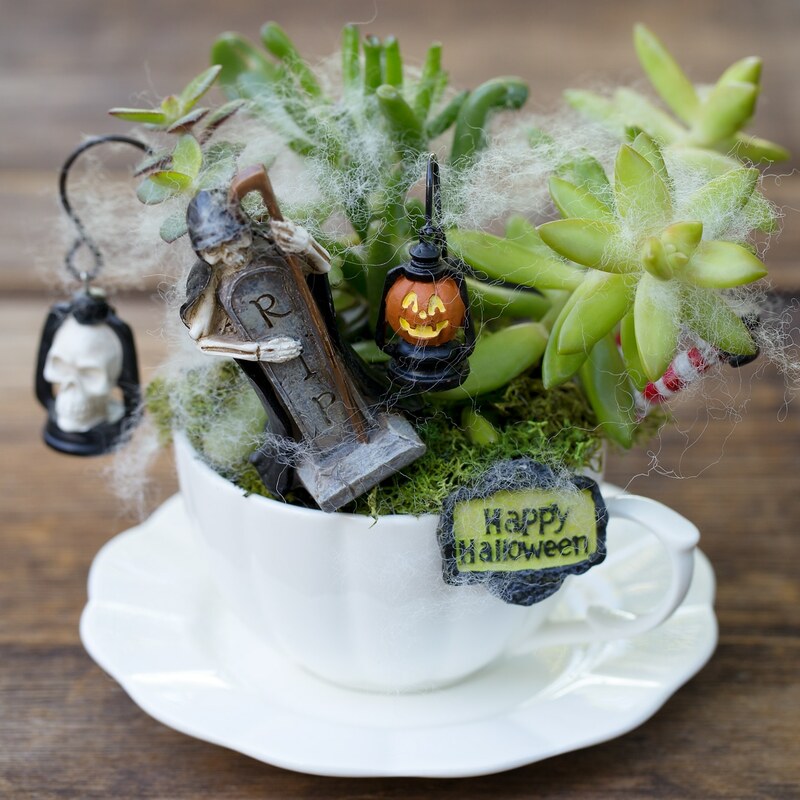 My kids look forward to helping me decorate our teacup garden with each changing season or occasion. 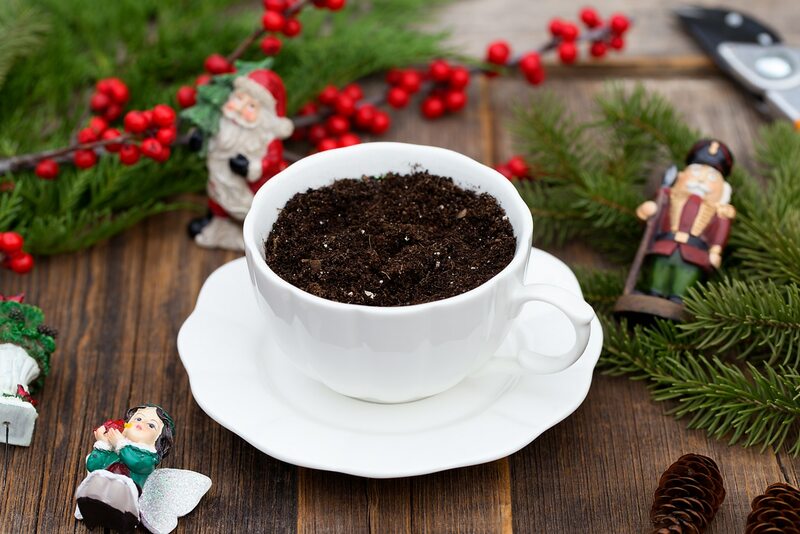 In this post, learn how to make a low-cost Christmas Teacup Garden, guaranteed to bring holiday cheer to all who see it! 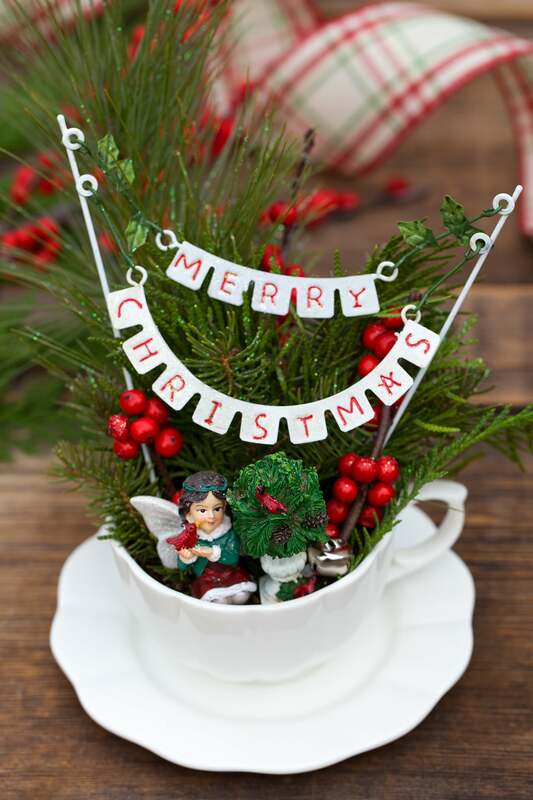 Our festive red and green Christmas Teacup Garden boasts irresistible texture, sweet Christmas miniatures, and fresh pine and winterberry sprigs. It smells like Christmas! 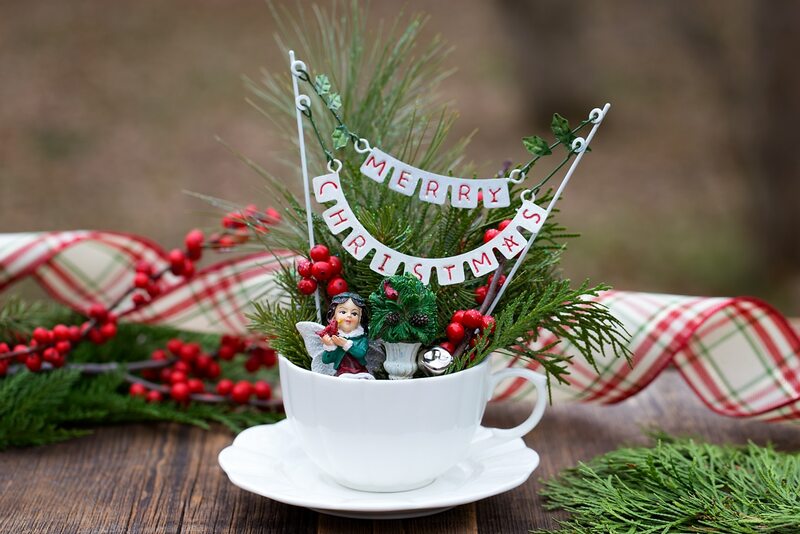 Little teacup gardens are fun and easy to make with kids and are a creative gift for teachers, neighbors, or the hostess of a Christmas party. 1. Begin by bundling up and heading outside with a bag and your garden pruners. (Be careful and keep them locked when not in use—garden pruners are sharp!) 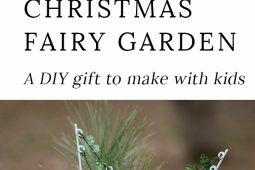 Gather a variety of evergreen boughs, pine cones, and winterberry branches. 2. Next, fill the teacup with damp potting soil. 3. 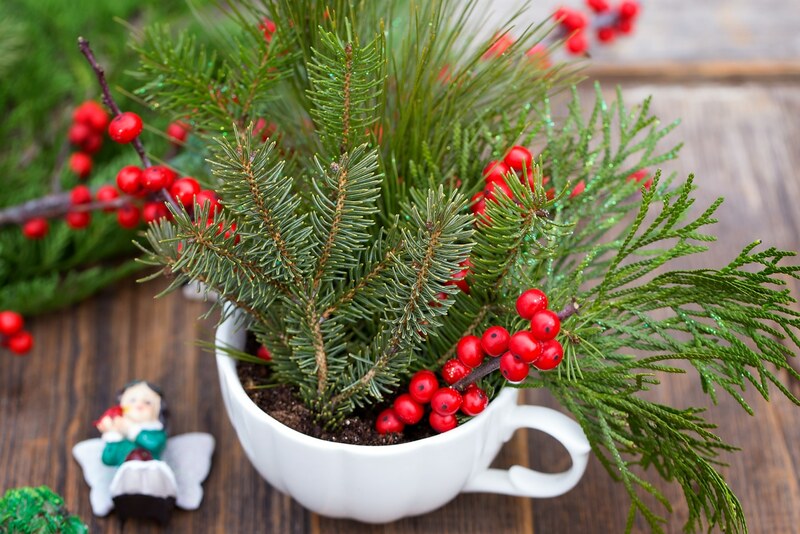 Cut the pine boughs and winterberry to size, then gently press them into the soil. 4. 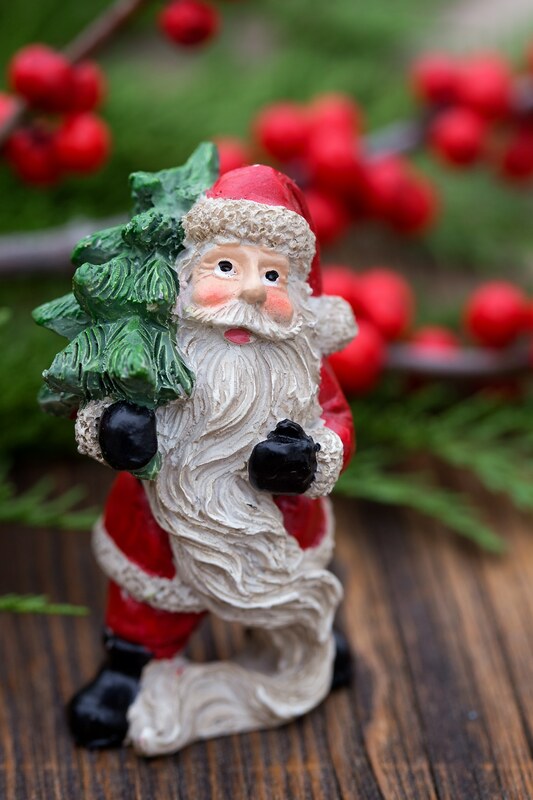 If desired, spray your pine and winterberry sprigs with hairspray, then sprinkle with glitter. Glitter has become a rather controversial craft supply, so this step is absolutely optional. The teacup garden is beautiful with or without it! 5. 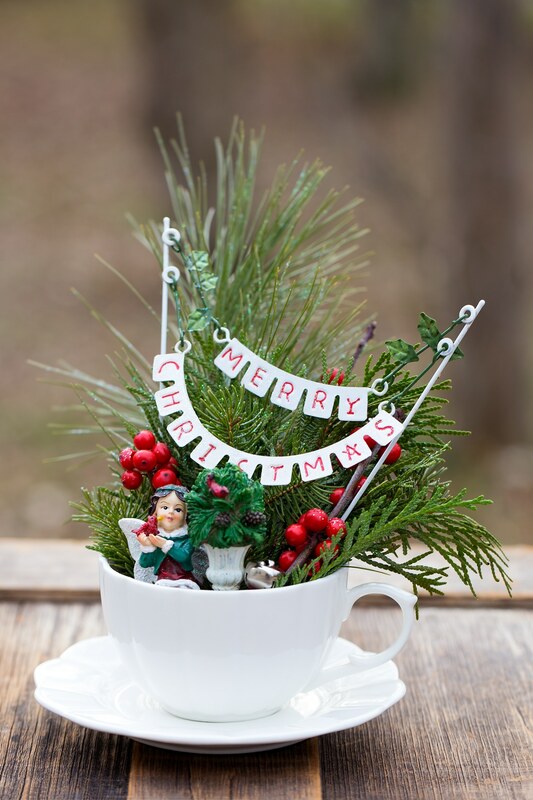 Press Christmas miniatures around the teacup to create a festive holiday scene. We love to use miniatures that have a small metal stake. Look for them around the floral section of your local craft store. If the stake is too long, snip it with wire cutters. 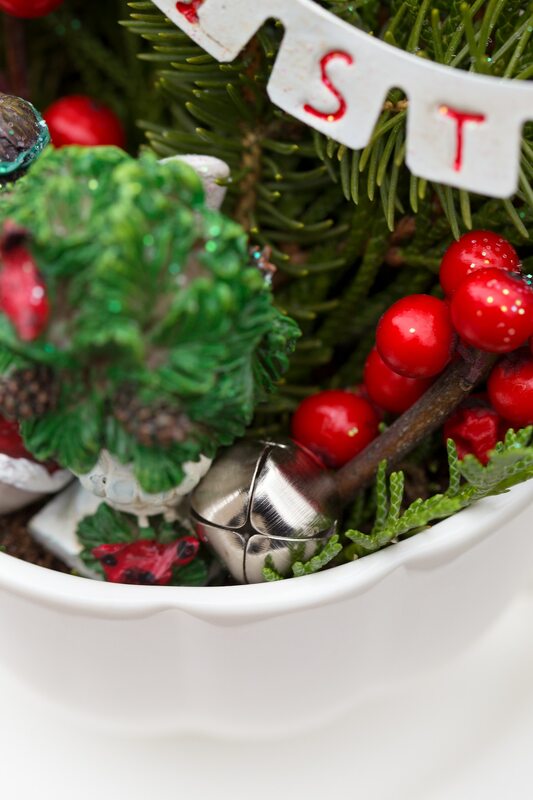 We also decorated our teacup garden with small spruce pine cones and silver jingle bells. Tip: If you shop close to Christmas, you can often find miniatures for 70% off! I purchased all of my miniatures from JOANN Fabrics and Crafts. This sweet Christmas fairy is my favorite! 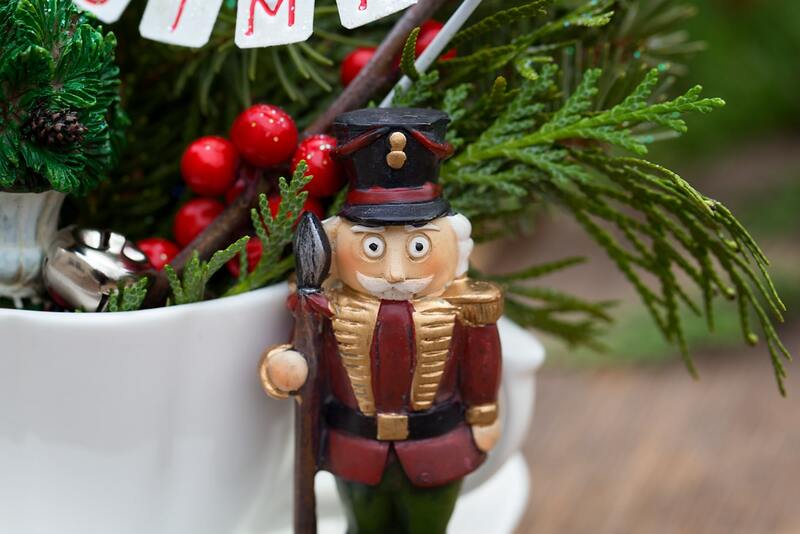 And what is Christmas without a nutcracker? 6. To care for your teacup garden, simply keep the soil moist. 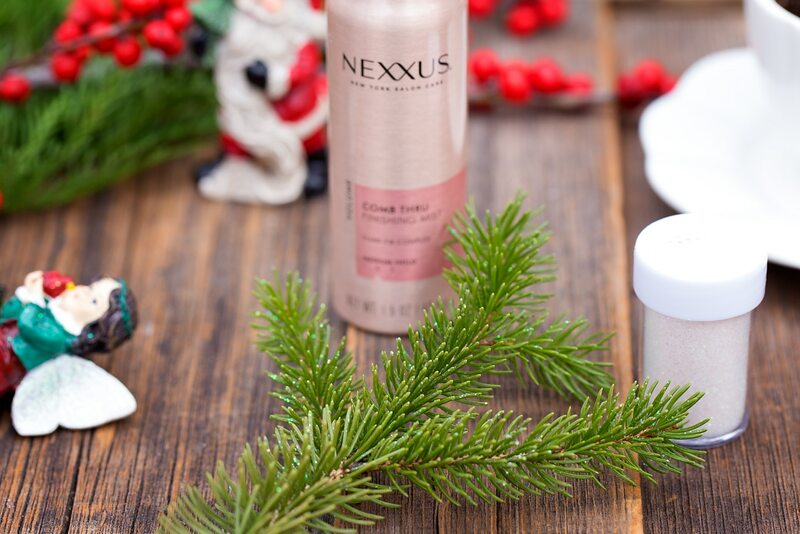 The evergreen and winterberry sprigs will stay fresh throughout the holiday season! Isn’t it charming? Merry Christmas! 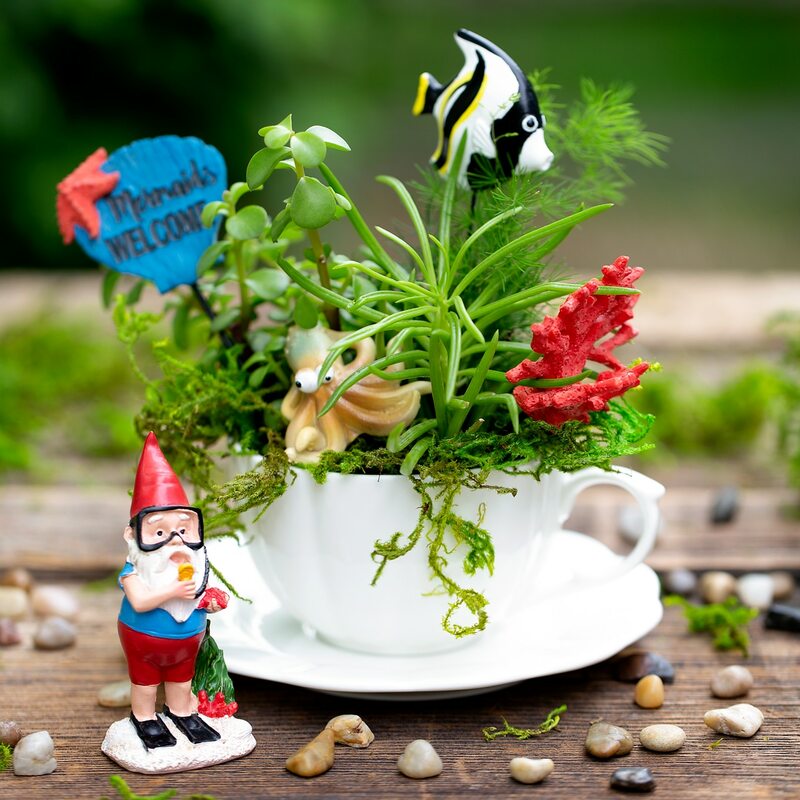 Click the images below to view more creative teacup garden ideas for kids! Omg this is so cute. I have a couple teacups on my kitchen window ledge, full of succulents, and this will look so festive with them. Love the hairspray + glitter idea, too! Well isn’t this just the cutest thing ever! And such beautiful pictures! 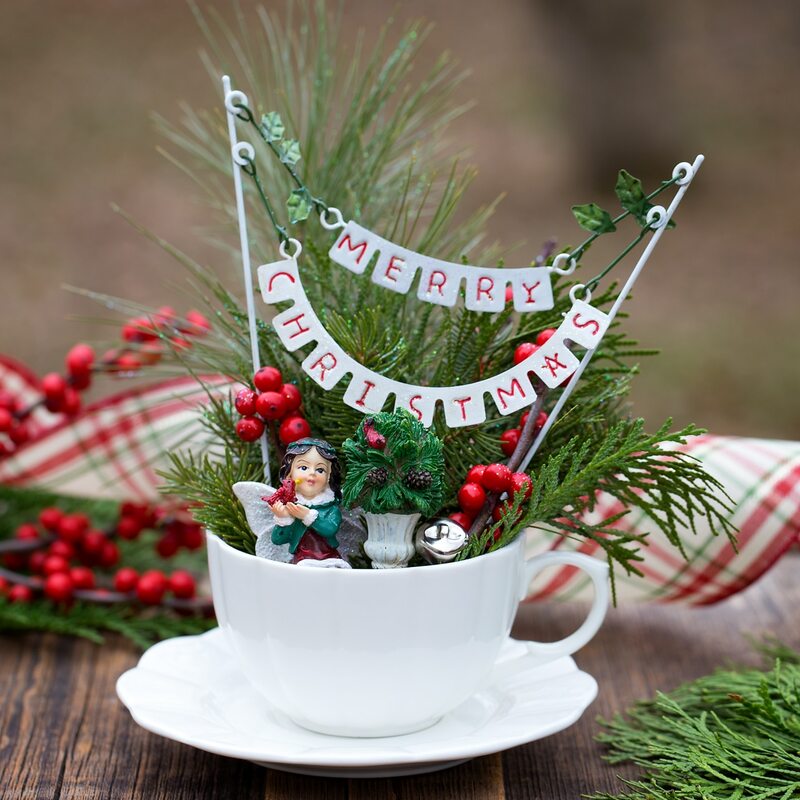 I can’t believe how cute these are… I love teacup fairy garden crafts so much and this is a perfect fit for a holiday season!